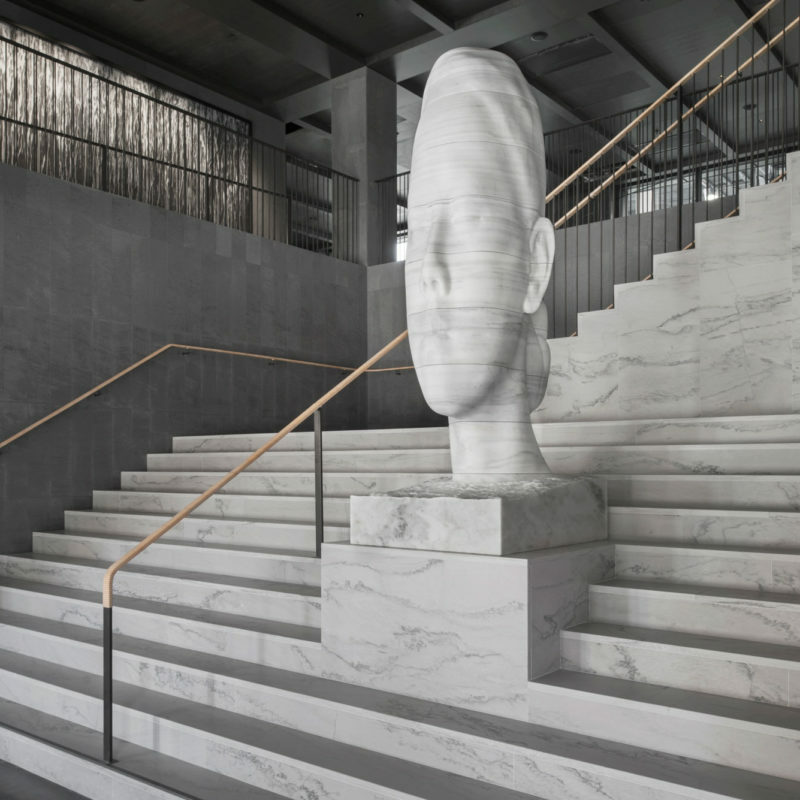 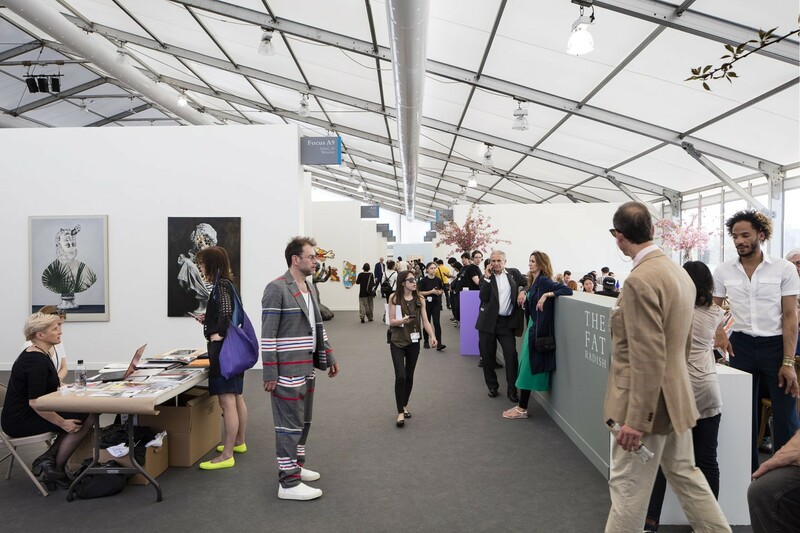 Universal Design Studio has redesigned Frieze New York, providing a fresh take on this global art fair. 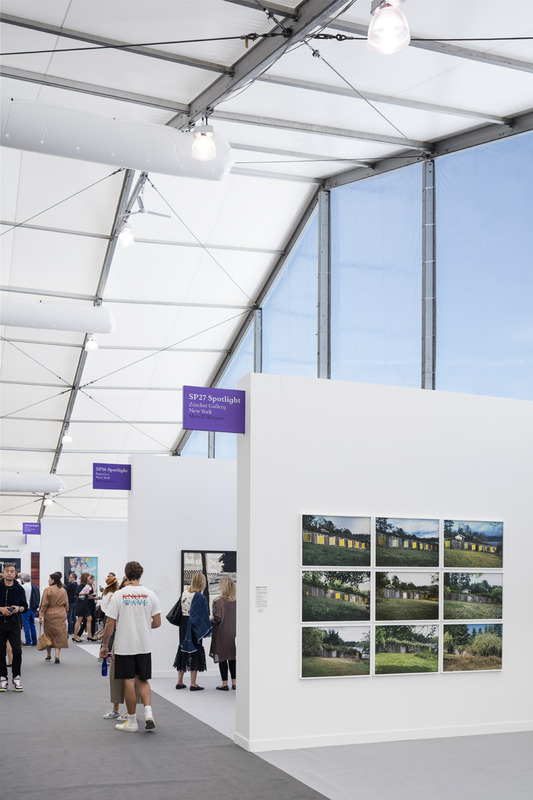 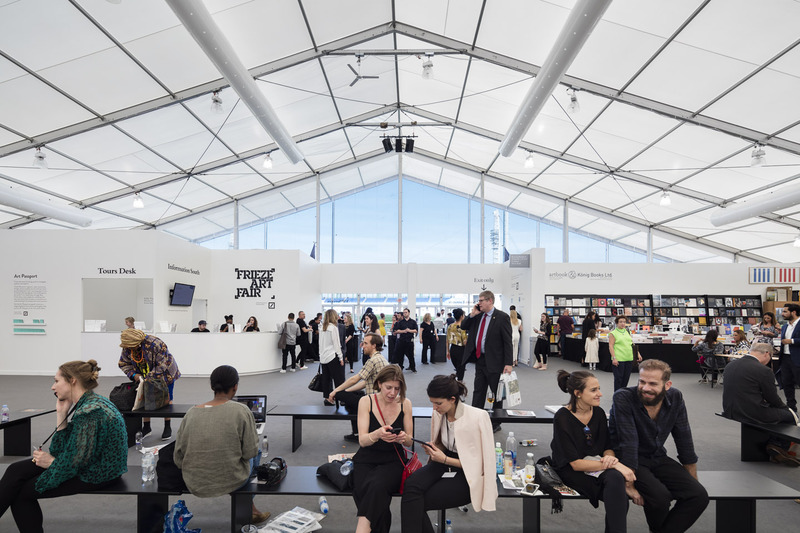 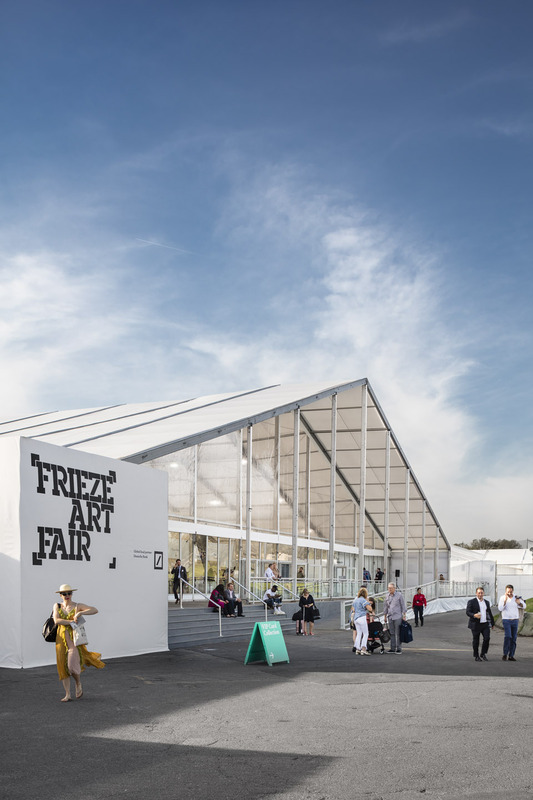 Working closely with Frieze director Victoria Siddall and Artistic Director Loring Randolph, the fair has completely re-planned, with a structural layout and interior organized to create an exceptional environment for viewing art. 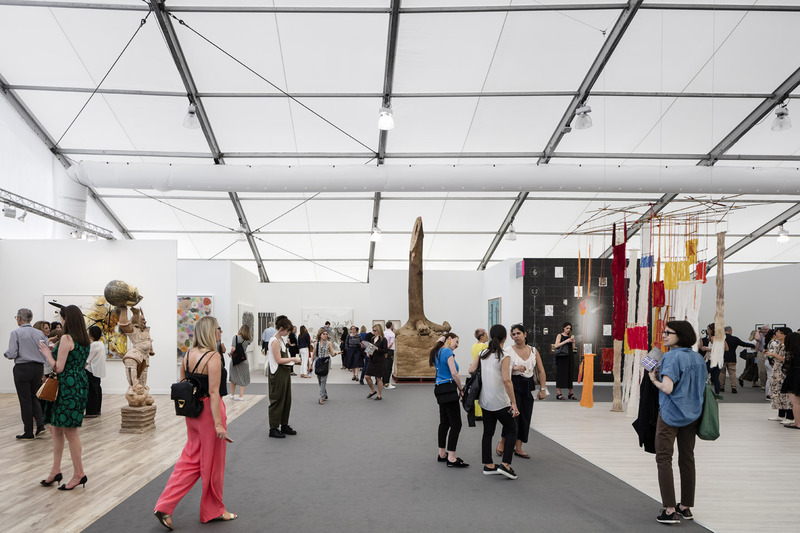 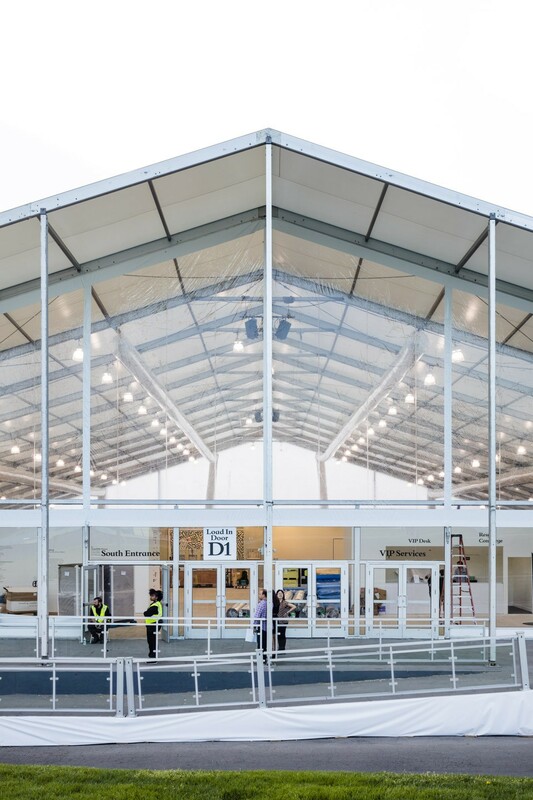 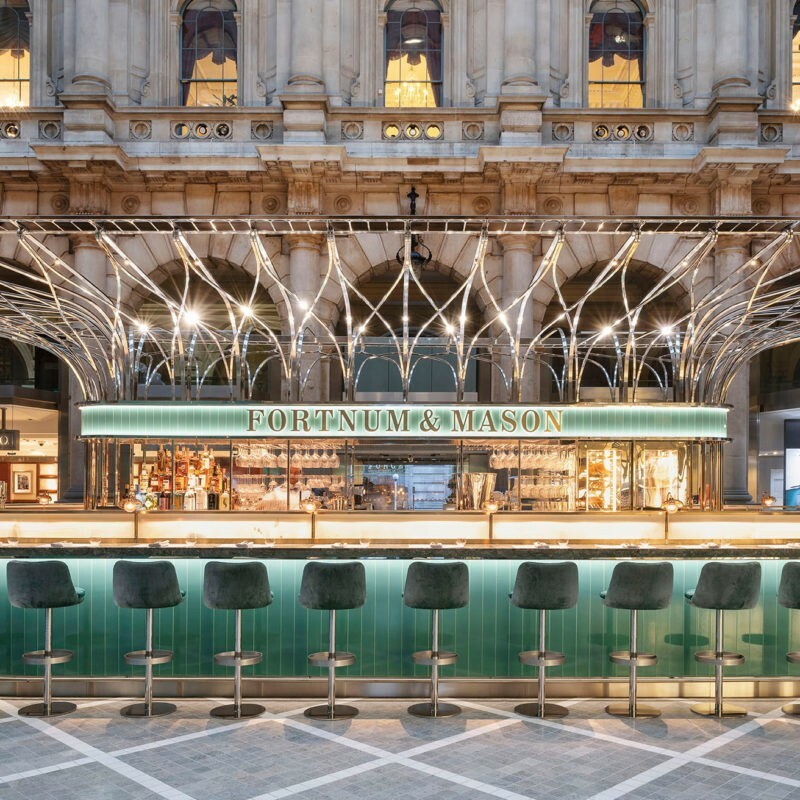 The brief was to improve flow to the galleries; increase visibility and navigability of the previously serpentine tent format; and to enhance the overall collector and visitor experience. 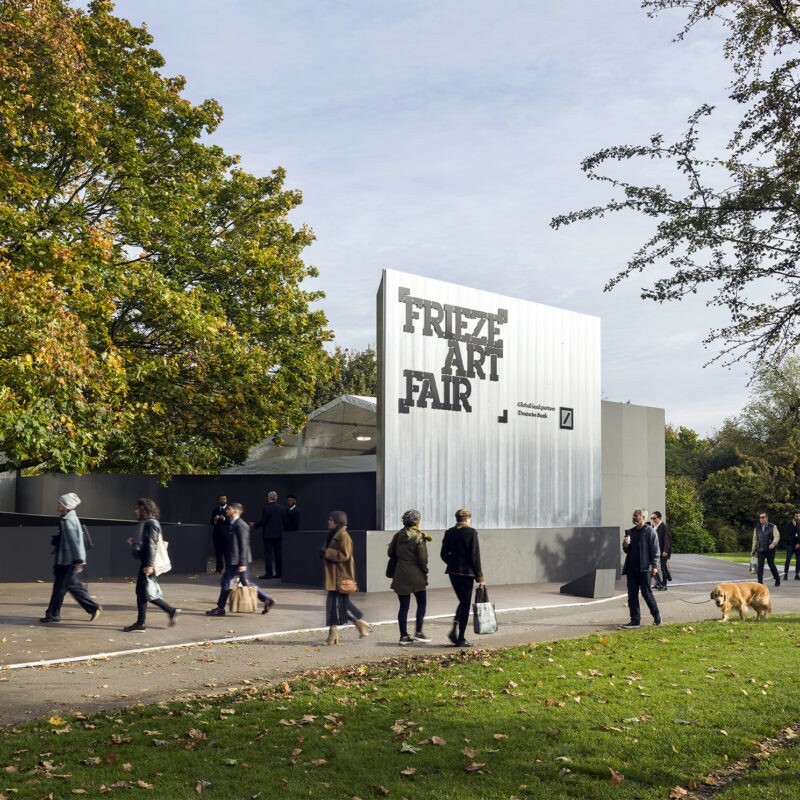 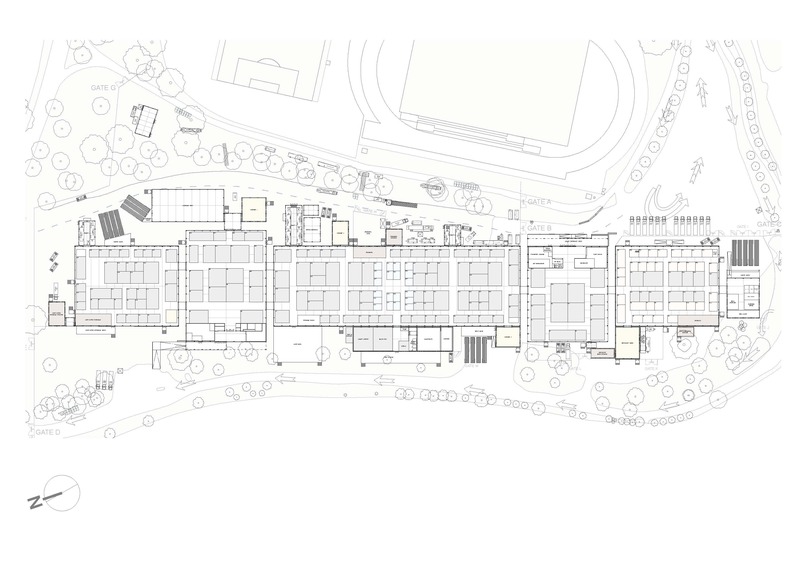 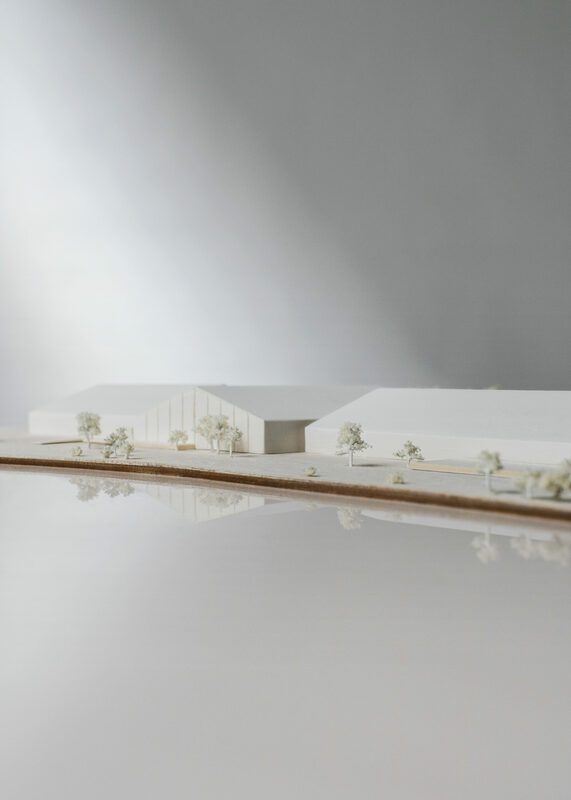 This brief follows the successful commissioning of Universal Design Studio in London in 2014, who went on to become the first architectural practice to oversee the design of Frieze London for four consecutive years. 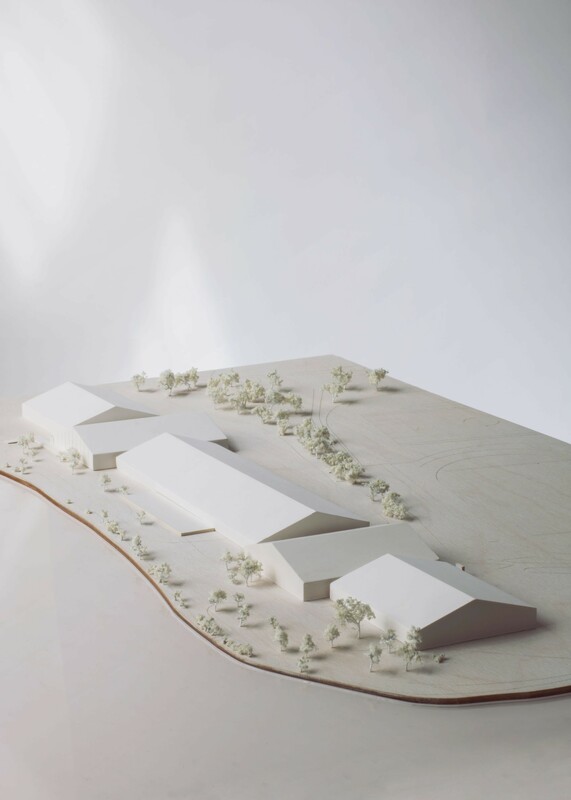 The structure comprised of separate, smaller buildings joined to form an orthogonal layout, broken up into distinct sections. 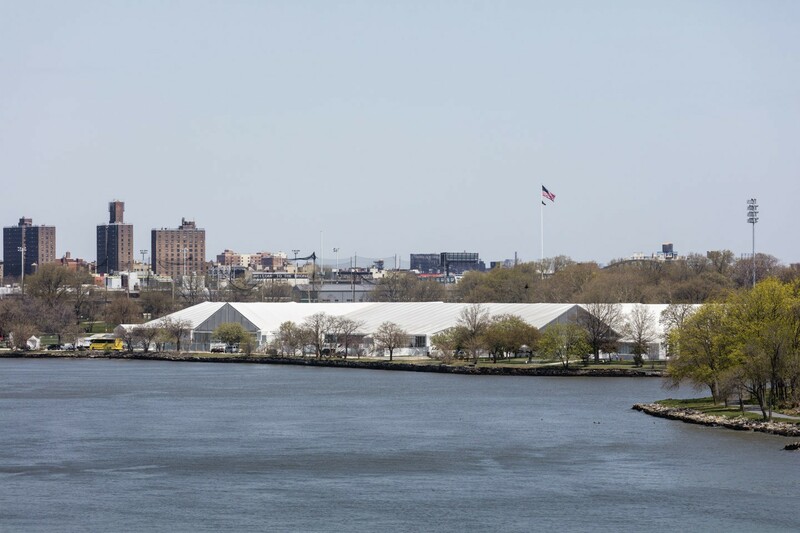 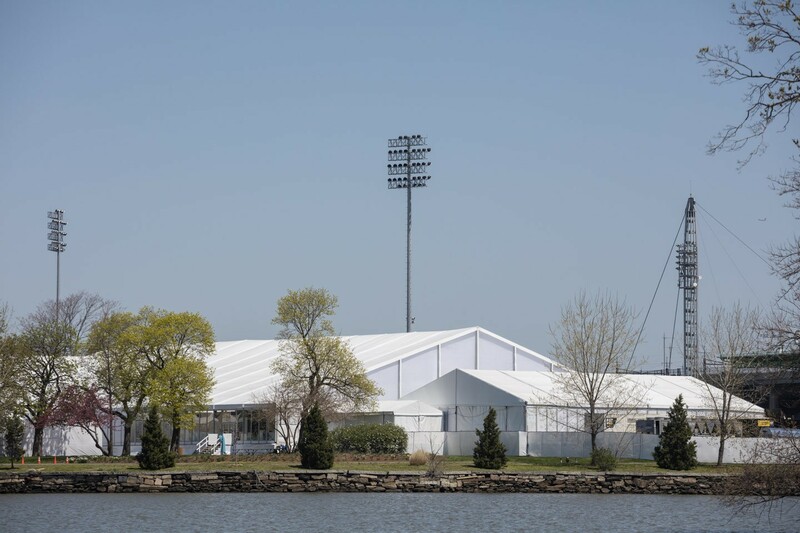 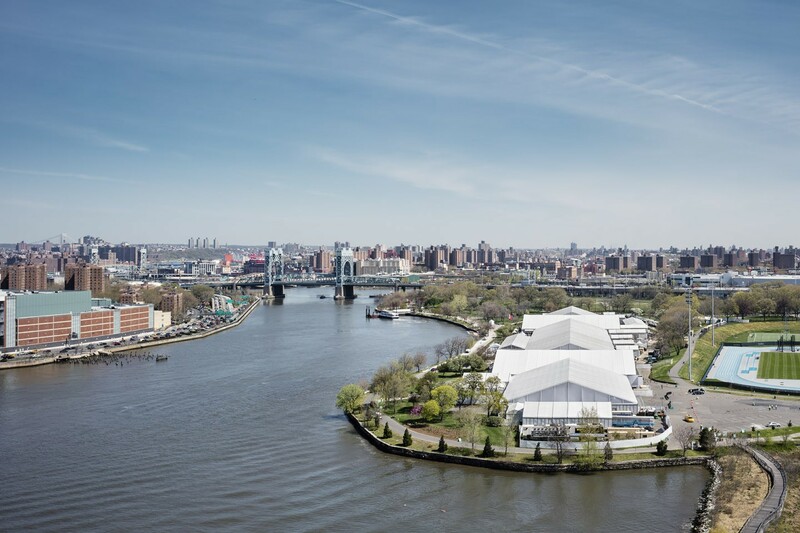 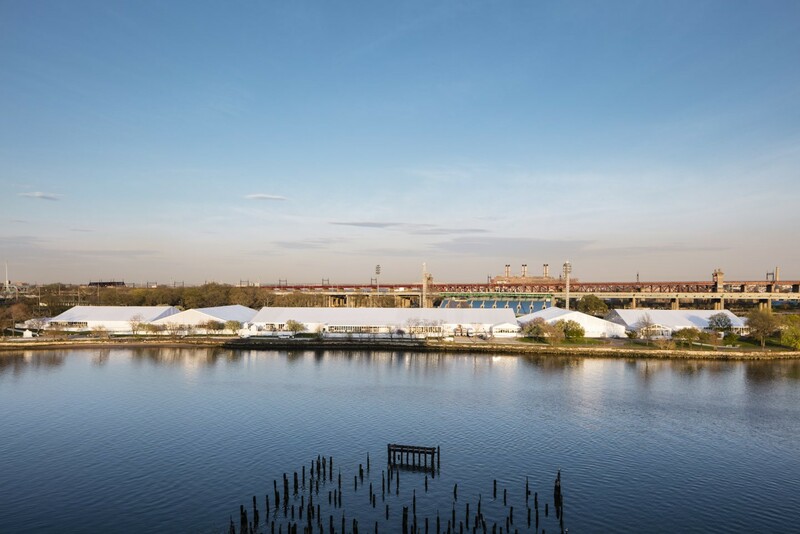 Repositioned closer to the river, the fair was oriented to allow more natural light, while sensitively engaging with Randall’s Island Park and views over Manhattan. 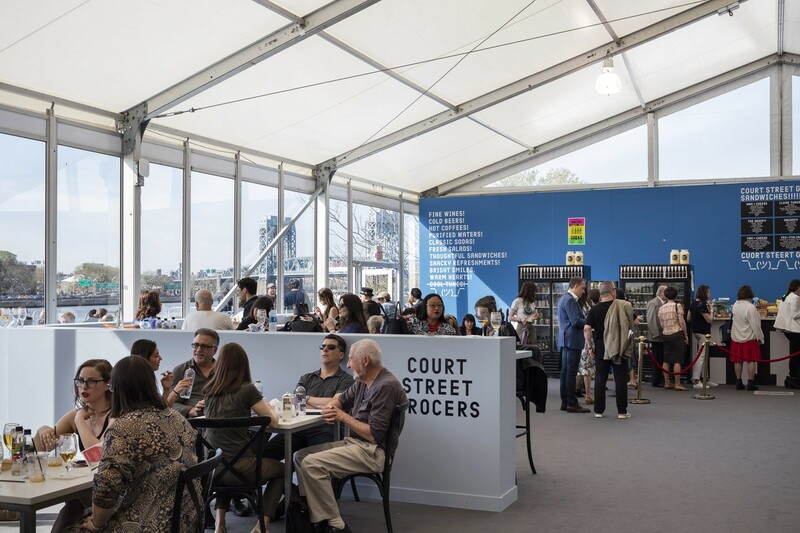 This year’s fair also benefitted from a revitalized series of restaurants, and new spaces for talks, resting and public gathering. 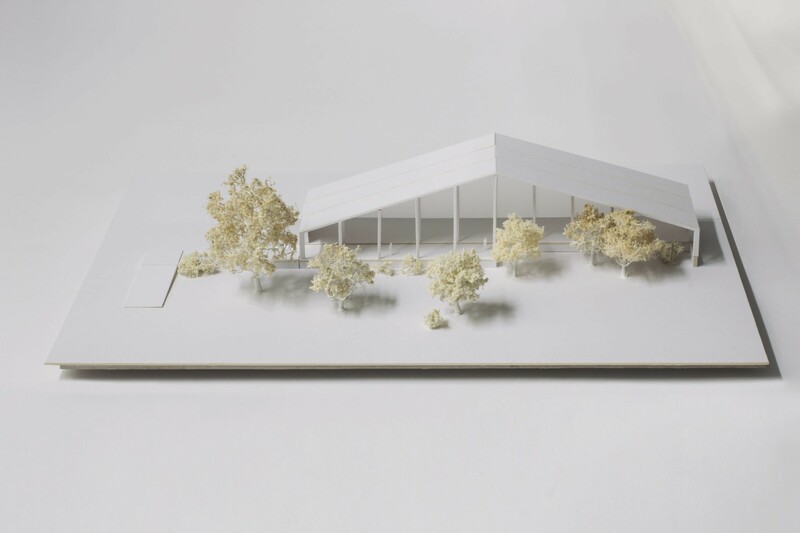 Built using modular components, much of the structure will be recycled and reused following the fair.